Although I was not raised in a Christian home, in the summer of 1985 The Lord began to draw me to the cross through a series events and people. I became very ill while custom combining in Texas that summer thinking for sure that I was going to die. I began looking at the obituaries in the newspapers and asking myself "These people were here, where did they go?" The Lord placed a man in an apartment across the hall from mine and we soon became friends. He invited me to a bible believing church that he was attending, where I met the Pastor who came into my home and taught me the bible. After many bible studies, The Lord opened my eyes to see and my heart to understand that I was a lost sinner on my way to Hell, and unable to save myself. The Lord saved me in October of 1987 when I trusted in the finished atoning work of Christ alone. Immediately after believing on The Lord Jesus Christ for salvation, I followed the biblical example of believer's adult baptism by immersion in water. The Lord opened a door for me to take some bible college classes through the Office of Extended Education at Bob Jones University while I was pastoring a church in Turtle Lake, ND. I was blessed to pastor there for 10 years. He also gave me the opportunity to preach and teach in the North Dakota State Penitentiary for several years. I have been married to my wife Wendy for 29 years and we have nine children. 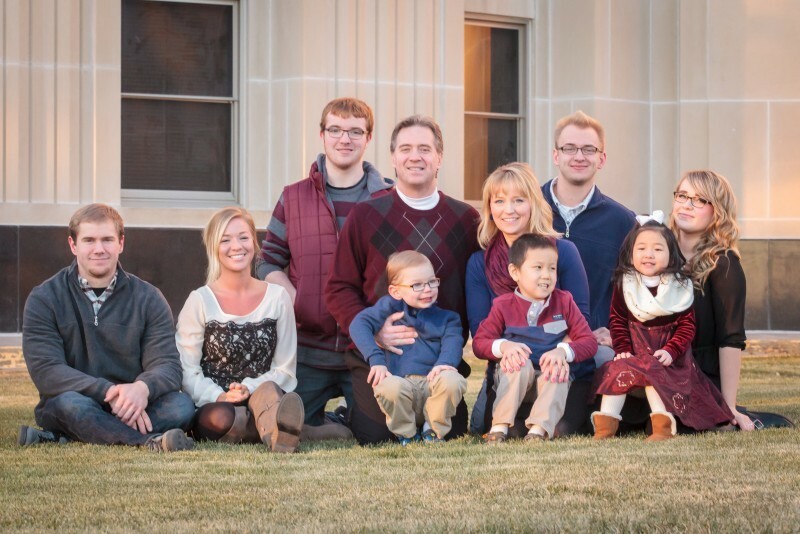 The Lord has blessed us with seven biological children as well as opening the door for us to adopt two children from China. What a blessing! Please feel free to contact me at any time.